It happens to all of us. You walk downstairs because you left your pair of reading glasses in your study. As soon as you get downstairs, you forget about your glasses and instead start to switch off lights and do whatever else catches your attention. Then when you’re back upstairs again, you realize you’ve forgotten to get the glasses! Another scenario: you’re tidying up your study and decide to get the rubbish bin from the kid’s bedroom. You walk into the kids’ bedroom, forget the rubbish bin and start tidying the kid’s room! Then you walk back to your study, and realize you’ve forgotten about the bin! We blame our minds for being “absent”, but scientists have now proven there is a trigger for this type of temporary amnesia. According to research scientist Gabriel Radvansky from the University of Notre Dame, walking through doorways has the effect of resetting the focus of our brains. Derived from studying cognitive behaviour over the past 20 years, Gabriel Radvansky and his team calls this phenomenon “event boundary” – the ability for our brains to compartmentalize events and associate them with the environment or the room in which they occurred. In other words, whenever you pass through a doorway, your brain “starts a new page.” It creates a new holding area to record new experiences associated with the new room. Unless you live in a completely door-less home, Radvansky’s team says there’s no medical cure for this. The only way to overcome this mental effect is to train yourself to be mindful of your purpose as you walk through doorways, and make a conscious effort to remember why you went there! If you are in the middle of typing an email or tidying up your desk, it is best to finish your task before leaving the room, as you are sure to lose your train of thought the minute you walk through a door! The results of Radvansky’s research has striking parallels with what Feng Shui practitioners have intuitively known about the science of space for centuries, that doorways have a profound effect on our mind and our behaviours! Feng Shui compass methods reveal detailed insights about how energy changes its nature from room to room, and these effects are triggered as soon as we walk through doorways. This is why the practice of Feng Shui places such a lot of emphasis in the directional arrangement of doorways within a home. Getting this right is vital for channelling, shaping and creating good energy in a home! Feng Shui practice goes deeper into the analysis of how chi moves through doorways and space. It provides us with powerful formulas and guidelines on deciding how our entrances should be built. The arrangement of doorways in relation to our sleeping and sitting positions, for example, can either bring supportive energy or create damaging vibes for us. If you are designing your office or study, you don’t want to place your desk in a way where the doorway is behind your seat! At home, you also want to avoid having your dining table face the toilet door. In your bedroom, you should always avoid sleeping with your feet pointed at the door – Feng Shui practitioners call this the “death” position! But the most important doorway to ensure you get right is the main entrance doorway. When you walk through your main entrance, your brain resets its focus and tunes into “family” mode. It makes a mental shift from public space to private space; hence it makes sense that auspicious main doors put you in an auspicious frame of mind, while inauspicious doorways put you in a negative frame of mind the moment you step into your home! In Feng Shui, the direction from which energy flows through your main door determines the kind of energy your house enjoys. 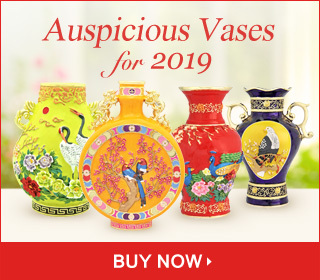 In Feng Shui language, we call it luck, and the time dimension of Feng Shui gives us annual readings of the type of luck brought by our main entrances depending on the compass sector and direction they face. Thus it is important to check the energy of your main door each year and ensure that good energy is enhanced and negative energy is transformed. Those living in houses where the entrance faces North, or is located in the North, enjoy enhanced friendships and networking luck this year. It is also possible for those who are single to find a significant other and even get married. You can enhance this luck by displaying the God of Love and Marriage in the Southwest corner of your bedroom for maximum effect. For those who are still studying, they should carry the Scholastic Success Amulet with them at all times. Houses that face East enjoy good luck from heaven. Such homes attract speculative and windfall luck and especially benefit those born in years of the Rabbit. 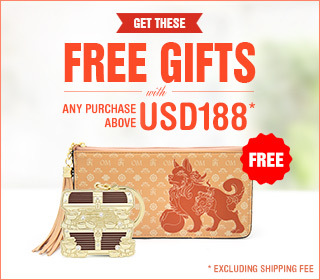 Place the Gui Ren Windchime to attract new opportunities, helpful people and windfall luck. Houses with main doors that face West enjoy victory luck and success this year. Those of you living in such houses will enjoy easy victory over rivals and competitors. This is especially true if you are born in the year of the Rooster. 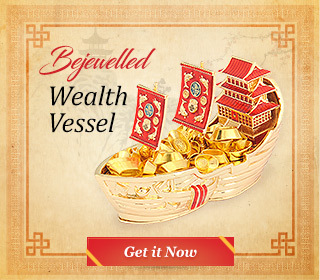 To activate this auspicious luck, display the Banner of Victory or Key of Success & Victory in this part of your home. Those living in houses with the main door in the Northwest will enjoy happiness, recognition and future prosperity. 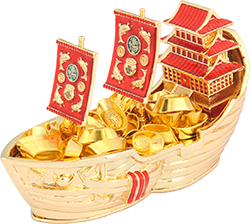 Enhance with a Wealth Vessel or Dragon Treasure Trove filled with ingots and other symbols of wealth. Houses with entrances facing Northeast get afflicted with poor health energies this year. It is especially bad for those born in Ox and Tiger years. Residents of such homes should pay careful attention to what they eat, as illnesses to the stomach is indicated. Remedy with the Healing Herbs Wu Luo or the Garuda Windchime. Pregnant and elderly people should not sleep in Northeast rooms in 2019. Houses that face Southwest are paid a visit by the misfortune star. In the SW, this star is particularly dangerous for females, especially the Matriarch and anyone born in the year of the Sheep or Monkey. Place the Tri Coloured 5 Element Pagoda here to remedy. If your bedroom is located in this corner of the home, you must not forget to also place the 5 Element Pagoda in your room as well. Houses with the main entrance facing South is visited by the quarrelsome star, which affects relationships with other people. If left unchecked, this star can bring litigation, serious quarrels and misunderstandings, and trouble with the authorities. It affects the daughters of the family as well as those born in Horse years. Place the Red Apple with Peace Symbol here to control. Southeast doors are afflicted with energies that attract robbers and cheats. It affects the eldest daughter as well as those born in the years of the Dragon and Snake. 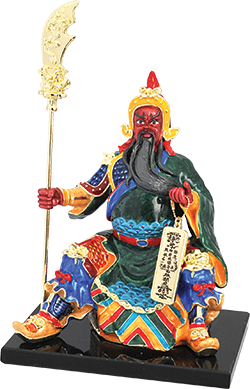 Control this star affliction with the Red Faced Kuan Kung and carry the Anti-Robbery Amulet when out and about if you live in such a house.